Face powders are an essential item that smooths and softens the skin, sets makeup, or conceals imperfections. 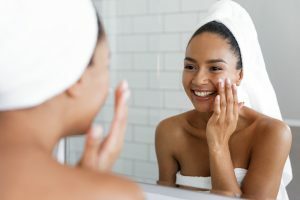 They’re usually recommended for people with oily skin because of their ability to control oil, but did you know that people with dry skin can also use them? 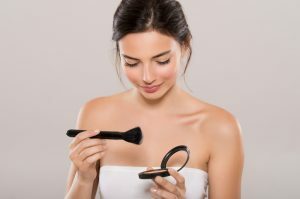 There are a lot of face powders on the market, some of which have moisturizing capabilities, which means they can prevent your skin from drying out. We’ll introduce a few of them later on, so stay tuned! So how do we choose a face powder for dry skin? We’re now going to discuss the important points you should look for in face powders to help you find the perfect one. Always check the label for moisturizing ingredients such as glycerin, squalene, or plant oils. 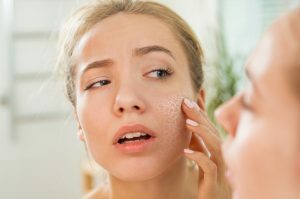 Glycerin not only keeps the powder from drying out, but it also hydrates the outer layer of the skin and restores the skin’s protective barrier. Squalene, on the other hand, is a lubricant that gives the skin a smooth, soft appearance. Lastly, plant oils can be used as colorants or natural moisturizers. Also, look for finely-milled loose powders. They’re good for skin that is prone to dry patches as the smaller particles can go in between the creases of the skin preventing it from caking. Aside from looking for the aforementioned ingredients, you also need to avoid ingredients that irritate dry skin. Retinoids are great for acne, warts, or psoriasis, but they can be too harsh on dry skin. Benzoyl peroxide is also another ingredient great for acne, but it may cause peeling, itching, and redness. Fragrances and preservatives are the leading cause of allergies, which will cause your dry skin to flake. That’s why hypoallergenic face powders, which are dermatologically-tested for sensitive skin, is also an ideal choice for dry skin. Now that we’ve given you some pointers on how to choose a pressed powder for your dry skin, it’s time to look at the top products you can find online in the Philippines. We hope you find something you like. 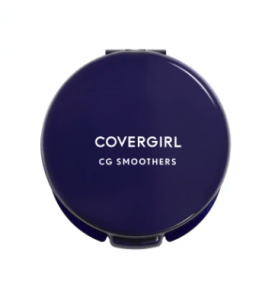 This face powder not only controls oil, but it also keeps the skin’s moisture from escaping. It gives your skin a flawless, silky smooth texture that lasts all day. It even contains whitening particles to help brighten your complexion. You can apply this foundation in two ways: wet or dry. Dampen the sponge, wring out the excess water, and dip it into the product for the wet application or use the sponge as is for a dry application. The wet application might cause your skin’s moisture to evaporate, so maybe stick to the dry application. 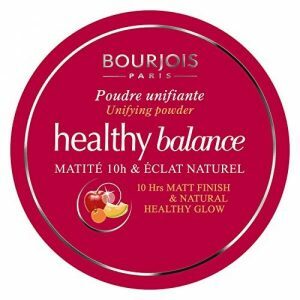 This face powder comes in two variants: a translucent face powder and a natural lighting powder. The first one is formulated with silk powder and is designed to set your makeup without drying out your skin. The latter one is formulated with pearl powder and is designed to cover pores and even out skin tone. Both contain blurring ingredients, which minimize the appearance of imperfections. They also contain hyaluronic acid and silk powder, which hydrate and give the skin a soft and healthy complexion. They’re also free of parabens, sulfates, fragrances, and dyes. 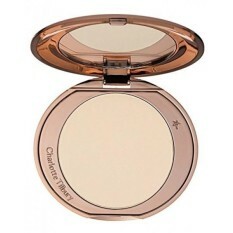 This unifying pressed powder evens out skin tone while giving it your skin a boost of radiance. It also restores and rebalances the skin using exotic fruit therapy extracts. Sharon fruit moisturizes dry areas, while yuzu fruit absorbs excess oil. 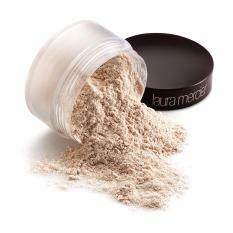 The powder itself is ultra-fine giving it a blendable texture and a light, airy finish on the skin. Unlike other powders, this won’t give you a dry, matte finish, it instead enhances your skin’s natural, healthy glow. This powder has a nice, delicate fragrance, but it doesn’t linger for a long time. This pressed powder has a semi-matte, velvety finish. It doesn’t accentuate make pores or wrinkles. It also has light-reflecting ingredients, which brighten your complexion. It also provides superior sun protection with its SPF48/PA+++. It’s formulated with several moisturizing and skin-firming ingredients. It contains hyaluronic acid, collagen, and ceramide, which hydrate the skin. It also contains rosemary leaf extract, raspberry extract, and grape leaf extract which firms the skin. This pressed powder goes on smoothly and gives you a nice, natural look. You can use it to set your liquid foundation or use it alone for a sheer finish. Using it’s Aqua Current Science and chamomile extract, it conditions the skin while minimizing the appearance of imperfections. 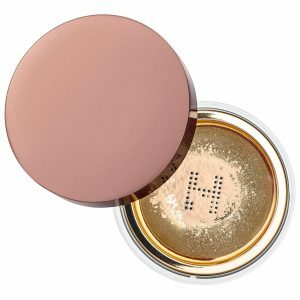 It has a portable compact form, which makes it suitable for on-the-go touch-ups, but it has a small mirror, which might make it a little difficult to see your whole face during application. It also has a nice fragrance, but it might be too strong for some people. The problem with loose powders is that you can’t apply them on the go because they tend to get everywhere. This pressed powder has the finish of a loose powder without the mess. Its formula is ultra-light and breathable. It gives an airbrushed finish and a brighter complexion. It contains rose wax and almond oil, which hydrates the skin and allows the powder to smooth flawlessly onto the skin. It also has light-reflecting ingredients for a luminous finish. The problem is the compact doesn’t contain a lot of product, so you might end up spending a lot. 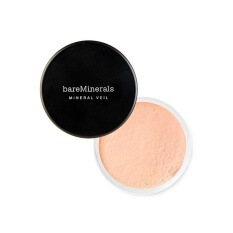 This setting powder uses the finest milled French cashmere talc to create a silky, flawless finish. The powder will disappear into your skin without settling into your fine lines or pores, so it will never look cakey. It’s best used as a setting powder, but it can also be applied alone for a sheer, natural finish. It doesn’t come with a puff or a brush, so you’ll have to purchase that separately. Another downside is that it’s not meant to be portable as the product has a tendency to get all over the place–causing a mess. This loose powder is on the pricey side, but it’s worth every penny. It’s formulated with light-refracting diamond particles, which give your skin a little a little glow without the dreaded flashback. It’s also formulated without talc. This powder doesn’t accentuate dry patches, and it can even be used for undereye baking to prevent concealer from creasing. The gold sifter is designed to control spillage, but it may make it a tad bit difficult to get the product out. 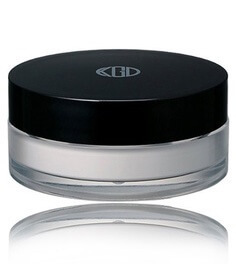 This hydrating finishing powder is formulated with blurring minerals, encapsulated water, rice lipids. It gives a sheer finish, brightens your complexion, and minimizes the appearance of fine lines, leaving your skin supple and smooth. This powder provides a truly translucent finish, which doesn’t give you any flashback–making it perfect if you love to take photos. You also don’t have to worry if you have sensitive skin, because this powder is talc, gluten, and paraben-free. 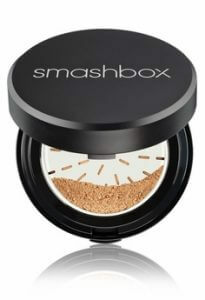 This innovative face powder will give you a radiant and healthy glow without drying out your skin. 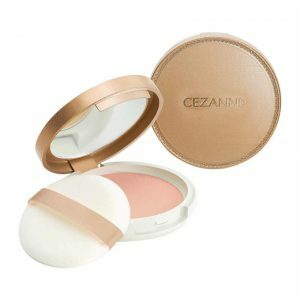 It combines the portability of a pressed powder and the breathability of a loose powder by having a built-in powderizer, which allows you to grind just the right amount of product for each use. This face powder is also formulated with anti-aging ingredients such as minerals, amino acids, and peptides. It doesn’t look cakey or powdery on the skin, which makes it a really good stand-alone powder or setting powder. Good makeup application starts with how you care for your skin. If you have dry skin, make sure your cleanser is designed for it. This means it should have ingredients that help lock in the skin’s moisture, such as ceramides or lipids. Next would be a hydrating toner. Toners that are formulated with hyaluronic acid, aloe vera, or glycerin also hydrate and keep your skin’s moisture. Stay away from alcohol-based formulas that will dry out your skin. Lastly, apply a moisturizer. We recommend applying a cream moisturizer as opposed to a gel or lotion because it’s thicker and more hydrating. You can look for the same ingredients mentioned above or use any moisturizer made for dry skin. This one shouldn’t be done every day, but remember to exfoliate. It helps reduce dry patches and flakiness. Use gentle exfoliators like BHAs or AHAs and never use a harsh scrub or towel to exfoliate. People with dry skin should be careful not to over apply any type of powder makeup as it will make their skin look even dryer. That’s why we recommend using a brush and not a powder puff. A brush would allow you to better control how much product you take before application. But of course, there is a possibility of over application, so remember to always use a light hand during application. Having a certain dry skin shouldn’t hinder us from enjoying the perks of a face powder. 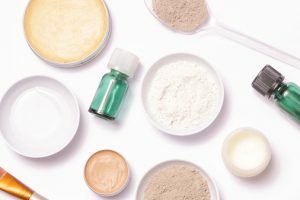 Face powders nowadays are more innovative and inclusive, and with the right skin care routine, you’d definitely be able to find something for yourself.